This last week I have been too busy to keep you up to date on all that God is doing in our lives. One word that is always a part of life on the mission field is "change". People are always coming and going. 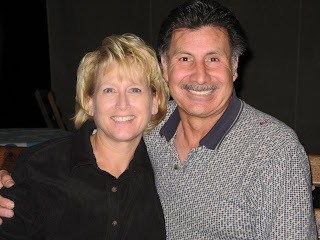 This week Chris and Donna Arellano moved back home to Colorado. Chris and Donna had been serving as our Volunteer coordinators for about a year and half. We are going to miss them greatly. Please pray for Chris and Donna as they start their new ministry in Colorado. New Comers to the work this week. New Minister of worship in the Paamul church, Pastor Daniel Peñaluen. Daniel is from Cuba, where he and his wife both were members of the Cuban National Orchestra. Daniel has served the last five years as the pastor of worship in Cancun. I have known and worked with Danny for over five years and he is like a son to us. Pray for him and his family in this time of transition. Pray for us as we are seeing God open many doors. The people of Chan Chen have many needs and we need a great church in Playa. Pray we will have the wisdom to follow God's will and timing.